Hoo boy. Here it is Friday already, and I just realized I have a counseling issues post due. Huh. Well, since it’s MY blog, and I make the rules, I guess i can do what I want, right? So–how about some random unrelated meanderings of the mind? I think that’s all I’m up to. Do you ever have a hard time staying focused? I’m completely unable to keep track of two thoughts in consecutive order right now. Usually I’m an efficient multi-tasker, able to juggle several things and still think in detail. Today I’m staring out the window trying to remember what I was just going to write. We’ve just said goodbye to a houseful of company. Well, we said goodbye around 9:30 yesterday morning. I’ve been in a vegetative state most of the time since then. I loved having them here, had a wonderful time. But I’m old, and I wear out pretty quickly these days. Tired, tired. So I’ve had a few days off work, don’t have to go back until Tuesday. Right now I can’t say I’m too thrilled about that, but I’ll be ready when I need to be. I feel sad about the depletion of my energy. 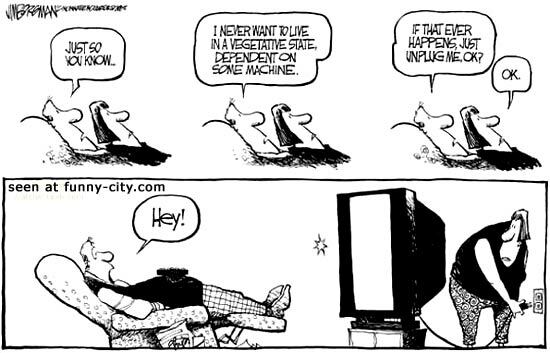 When I consider what I was able to do only 20 years ago, compared to now, it’s really quite a change. I believe that if I put some effort into it, I could regain much of my former pep. Right now I’m just too pooped. I’ll be 66 on the Fourth of July. It’s really cool having a birthday on the Fourth. Unless people work in medicine or emergency services, they’re usually off work. The weather is beautiful far more often than not. There are fireworks, picnics, parades–ALL for ME!! No, really! You didn’t know that? It’s just too bad the designer of this bag didn’t check with me about the spelling. Maybe she was planning to go forth on the fourth. The only thing that shocks me about my upcoming birthday is that I’m only four years from 70; can that be my excuse for this sorry little post about nothing? No? Oh well. In this chapter, we’re moving away from the last section of the previous chapter, where we saw the heir of the Kingdom in the midst of the world, how he is to trust and depend upon the Father; he is to seek first the kingdom of God and His righteousness; his walk is to be undivided. Now, Jesus directs attention to the conduct of the heirs of the kingdom to their fellow disciples. The primary feature of our behavior toward one another as believers is clearly to be that of love. It is more fully developed in the Book of John as well as in I John, appropriately given to the Beloved Disciple for further expounding and teaching. So let’s dig right in, looking today at only verse one of this chapter. I want to take some time with it, because it is a verse much quoted and, sadly, much misunderstood by believers and unbelievers alike. Some have taken this verse to mean that we are never to address obvious sin in the lives of other believers. To take this sort of head-in-the-sand approach is to open the door wide for loose living and loose interpretations of Jesus’ teachings on how we are to conduct ourselves. He warns against such laxity in verse 6 of this chapter. Jesus does NOT forbid the judging of actions and evil. If He did, His words would contradict other passages in the Epistles. One example would be I Cor. 5: 12-13, as well as Matthew 18:15-18. It is clear in these passages and others that believers are required to deal with sin in their midst. We are taught repeatedly in scripture that we are to remain separated from the world, from sin. If we never judge, then we could not know from what we are to be separated. We are to stand as “lights in the world, in the midst of a perverse and wicked generation” (Phil. 2:15). To do so requires judgment, wisdom, discernment. We must know, through our walk with God and through His Word, what is good and what is evil. The problem we all have is that we often take a step across the line of wisely and biblically judging between good and evil to the fault-finding, censorious self-righteousness of Pharisaical judgment, sweeping our robes aside lest we be contaminated by those who are less pure than we are. As I’ve studied this verse, I’ve come to believe that there are so many layers of meaning here that it would take a book to sort it all out. Everything Jesus said was beautiful in its simplicity, and incredibly deep in its complexity. So I’m going to pull out just two simple things that spoke especially to my heart. You may do a study of your own and come up with something completely different. First: From the literal translation and the context, it is clear that we are not to judge motives. I have no right to come down with a judgment on that which I cannot see and do not understand. No one ever really knows what another person is thinking. God does. Leave it to Him. Second: If we do not care to have our motives, thoughts, and emotions judged and found wanting by others, then we must refrain from doing so ourselves. However, when our motives, thoughts, and emotions lead to overtly ungodly behavior, then we put ourselves in the way of correction which should be applied in a loving manner, with the goal of restoration. 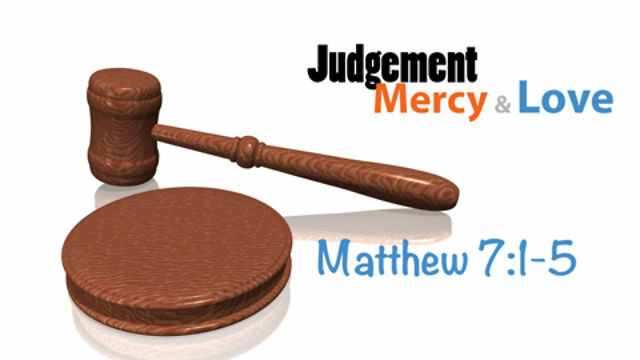 Correction (judgment) done in a biblical manner is to be done with kindness, mercy, and love; it should end in healing. Sufficient Unto the Day. . . I like the phrase in the KJV “Take no thought.” Just don’t give it any thought; don’t rent tomorrow’s problems space in your brain. Don’t worry. Every verse in this chapter, from 25-34, is a treatise on how not to worry. Do you suppose God knew what worry warts we would be? A very interesting search, if this is something that burdens you, would be to find all the verses in God’s Word that tell us not to worry, not to be afraid, not to be anxious; instead, to trust, pray, and obey. You should try it. It could change your life. I’ve also always been intrigued by the last sentence in this verse: Sufficient unto the day is the evil thereof. Sufficient: Enough. More than enough. Each day has more than enough of its own difficulties and problems. Why borrow tomorrow’s as well? Unto the day: Each day we live should be lived in itself, trusting God to direct our steps, to lead us through the Word, to show us how to solve each problem as it arises. To worry about what’s going to happen tomorrow is to deplete our energy and our faith. The evil thereof: The difficulties, the troubles and trials, of each day are enough for us to handle. Thoughtful preparation for the future is not rebuked here; it is the fussing, fretting, worrying, losing sleep, developing chronic health problems exacerbated by the constant adrenalin rush of worry that Jesus warns against. We have enough to deal with, one day at a time. Relax in the Lord. Everything will be all right. I’ve been reading several different commentators on this verse. The concept seems simple at first: Make your primary focus God’s kingdom and His glory and righteousness. Let that be the single thing that holds importance in your life. When you do, all the things of earthly living will be provided as God meets your needs and satisfies the desire of your heart to live in His Presence. And from Matthew Henry: “There is scarcely any sin against which our Lord Jesus more warns His disciples, than disquieting, distracting, distrustful cares about the things of this life. This (concern) often insnares the poor as much as the love of wealth does the rich. It’s interesting to me that believers who have actually lived this way are so rare that we know them by name down through the annals of history: The Apostle Paul;the great martyrs of the faith; people like John and Betty Stam, Jim Eliot and the others who were killed by the Auca Indians in the 1950’s; George Mueller; Mother Theresa. These are just a few who understood that putting their focus on God and His righteousness would make the things of earth grow strangely dim in the light of His glory and grace. Do you understand yet that this entire passage is not about things; it is not about having enough to eat or drink or wear. It is about learning to trust God for all our needs, because He loves us. He knows what we need, and He knows what we don’t need. I believe, that in this land of plenty, most of us have no real idea what it means to trust God for our next piece of bread. We never have to wonder whether or not we’ll find drinkable water. While I enjoy all the luxuries of middle-class life in America, sometimes I think we’re missing out on the incredible blessing of having to depend upon our heavenly Father in every single detail of our lives. Most of us think nothing of stopping for coffee and a snack on the way to or from work. Many of us regularly go out for lunch, spending up to $10 without giving it a second thought. Then, because we’re tired, we order in chinese food or pizza, again putting out a substantial amount of money for a simple meal. Seriously, how often have you found your cupboards bare? How often have you literally had nothing to feed your children? (If you want to read about a time this happened in my life, go here: http://wp.me/p2noSn-1K0). The truth is, we take an awful lot for granted. Because we can assume there will be food and drink and clothing, we fail to learn to depend upon God. That’s sad, There could easily come a day when we will no longer have so much, and I fear that we won’t have the first idea what to do about it. Jesus says that “the Gentiles” seek all these things. He’s talking about those who don’t have a heavenly Father, and who haven’t learned to depend upon a loving God Who knows our needs before we do. I find great comfort in knowing that my heavenly Father knows long before I do that I will need His hand of comfort, provision, direction, and wisdom. It is my job to be in such a constant attitude of prayer that I immediately turn to Him when I realize I have such a need. My prayer is that the lives they sacrificed not have been in vain; that we do not lose our beloved country to an attitude of government control and entitlement; that God not be forgotten in a humanistic, man-centered world.